Hudson's Bay Flash Sale today including lots of items for men! 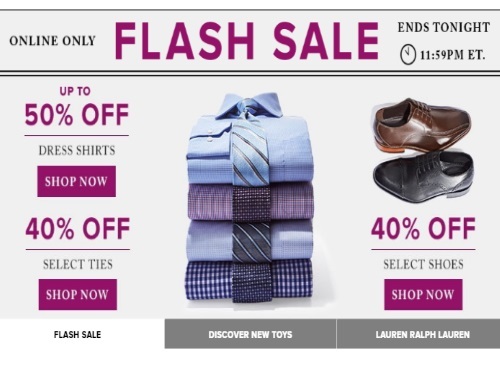 Save up to 50% off dress shirts, 40% off select ties and 40% off select shoes! Offer is valid online only today, Wednesday, September 7 at 11:59pm ET.